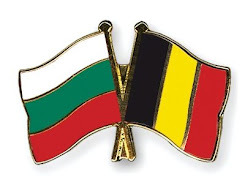 Belgian Bulgarian Tax and Law Consultants: Belgian Bulgarian Partners at your service! We take care for filing correct VAT report to the authorities and send information every month if something must be changed or it is not correct. The client can always contact us if any questions regarding the accountancy of his company arise during the month for consultation. We take care for the full accountancy of the company which includes not only filing the VAT reports, but also: preparation of employee documents and servicing them on a monthly basis, filing the documents required to the National Social Institute, preparation of payslips and payrolls, preparation and filing of annual reports. One of the most important thing which the client must know is the terms of filing the accounting documents. The VAT monthly VAT reports are filed and the tax is due by the 14th of the following month for the previous one. The VAT tax period is a calendar month. Another very important document is the Annual Report. The annual report of the company contains Tax Declaration and Financial report. It is filed up to March 31 of the present year for the previous one. The tax (fiscal) year is the calendar year with no availability to opt for different reporting and accounting dates. Information about the social and health contributions on wages/salary/remuneration in Bulgaria you can find below: The gross salary is the main salary and the net salary is the clear salary a person receive after the deduction of the insurances and taxes per month on the behalf of the employer. 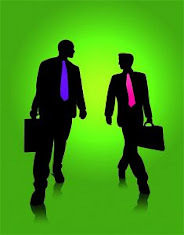 The budget salary includes the gross salary and the social insurances payable by the employer. The social and health contributions are payable up to BGN 2400 gross salary. The base for calculation is capped at BGN2,000 (approximately EUR 1,000) monthly. This mean that a person who receive salary of BGN 2400 or more i.e. BGN 3000, BGN 4000 etc. pays social contribution and insurances up to the amount of BGN 2400 and 10% on the balance above the BGN 2400. The calculation of the taxes payable depends on the lenght of labour years, date of birth and other important facts. Please also note that usually we have passive access to the bank account of the clients, which mean that we can only review the movement, follow the statements and make payments orders, but we cannot make payment on your behalf. The payments are made with TAN codes which we do not have, but the managers do. More information about the online banking you can ask by email. It is very important to also know that your company must have a service contract/contract for the services you provide with all your clients and suppliers. The contracts can be bilingual but one of the languages must be the Bulgarian one. The information herein is based on reliable sources and data. The information provided is extent to the permitted by applicable Bulgarian Laws and Belgium Regulations. If you need further information please do not hesitate to contact us!